The website content was aimed at a few main target groups (architects, investors, distributors, end-users). In consequence, it was necessary to create a coherent user interface and information architecture of a capacity allowing for its future development. Due to dispersed data repositories (photos, descriptions, sample books, 3D bodies, etc. ), the content had to be inspected, registered and included in the website structure. The portal was to be state-of-the-art, image-based and set industry trends. One of the basic business tools on numerous markets. To design the presentation layer, we used solutions characteristic for the User-Centered Design methodology. 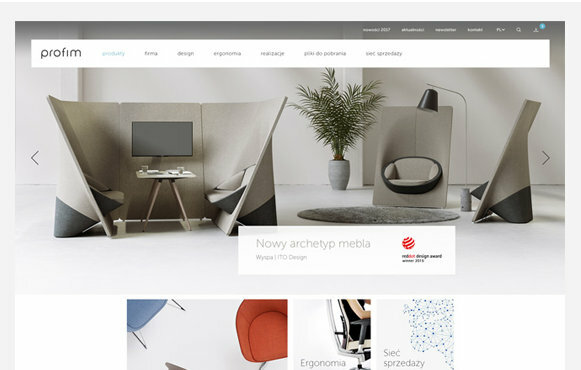 The website prototype was tested with participation of users representing the main stakeholder groups (trade partners - distributors, interior architects, end-customers). Their suggestions enabled us to introduce vital corrections and enhance project communication effectiveness at this stage. Apart from the WWW prototype, we also tested the beta version of the website. The Tobii X2 (60 Hz) eyetracker was used in studies with users’ participation. As a result, the study report and conclusions were enriched with perception-related data. The eye-fixation and saccade analysis in relation to qualitative (e.g. from a survey questionnaire) and quantitative data (number of tasks not completed, time of performing the completed tasks) enabled us to draw up a reliable report including empirically justified recommendations. In the production area, we implemented an approach based on the SCRUM framework. As a result, we quickly obtained the required effects which could be presented to the client. The portal was awarded with the main prize at Webstarfestival, in the “best company website” category. It is a strategic business tool that is constantly developed. Each day, it is visited by thousands of users from around the world. In numerous aspects, the project is a model for companies operating in the furniture manufacturing industry. 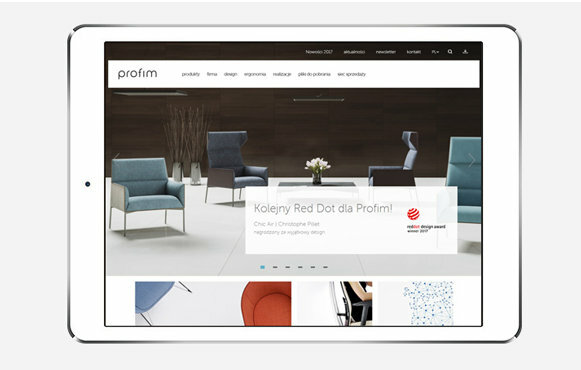 Profim has been cooperating with us since 2014. The company constantly invests in portal development. Publishing of the new portal edition coincided with changing the Profim brand present on numerous international markets. Visual Media Sp. z o.o.